In a recent study, a group of researchers concluded that 10 to 38 percent of the difference in life expectancy across demographic groups can be explained by differences in their job conditions. The study reviewed 228 studies that looked at how ten workplace stressors — including safety, job security, and employees’ sense of control over their jobs — affected health, then further broke down the results by race, NYMAG reported. 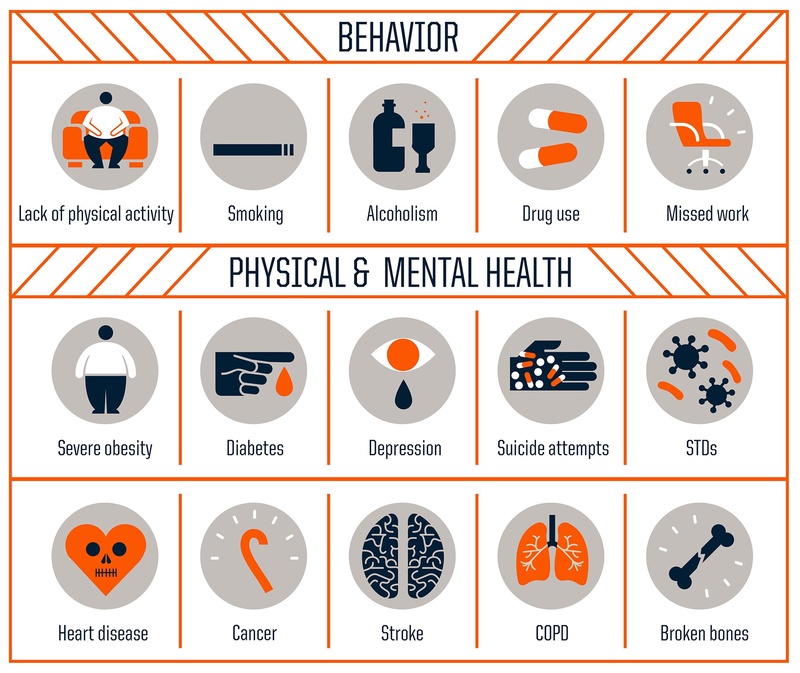 Social determinants of health like housing, education and employment can make a bigger difference in a person's health than clinical care. But to what extent, and in what ways, should primary care doctors be expected to address those issues? That's one topic that's explored in the March/April issue of the Annals of Family Medicine, with different doctors taking various positions on the matter. From 1995 to 1997, more than 17,000 individuals went to the doctor and had a standard physical exam. One key difference between this exam and the one you get each year? At the time of their check up, participants completed a survey, like the one below, with questions about their childhood history, current health status, and behavior (in other words, the social determinants of their health). In doing so, these 17,000 individuals became a part of a longitudinal study assessing the relationship between adverse child experiences, health care use and causes of death, according to the Centers for Disease Control and Prevention. It is called the Adverse Childhood Experiences Study or, more commonly, the ACE study, and it is still going on to this day. Believed to be one of the greatest medical advancements, vaccines are known as the best form of preventive care. For millions of people, vaccines have protected them from diseases, which wouldrequire complex and costly care if contracted. While getting vaccinated seems like the obvious choice, barriers to care remain a problem, and despite efforts, racial and ethnic disparities in vaccination rates still exist. Today, as we focus on improving the health of our communities, improving vaccination rates is an important area to focus on. Unhealthy Environments Cause a Quarter of Deaths Globally, But Who is Hit the Hardest? The World Health Organization announced this week that nearly one out of every four deaths on the planet is caused by unhealthy environments, but can you guess who bears the brunt of environmental risk factors? In light of the destructive effects of poverty on health, the nation's leading pediatrics group last week recommended that pediatricians check up on young families' financial well-being. From rural areas to our largest cities, hunger plagues many in our country. Today, one in six Americans faces the struggle of food insecurity. As the cost of food and other expenses increase, more people are forced to make tradeoffs, and their health is worse as a result. Nearly a year after Freddie Gray died in police custody in Baltimore, his neighborhood continues to struggle with poverty and its negative impact on health. While treatment has been made available to Americans with HIV regardless of their socioeconomic background, vulnerable and underprivileged populations are having trouble staying in treatment. Food stamps are helping poor people get as many calories as anyone else, but there's at least two ways in which their diets remain disadvantaged. Healthify Insights is an extension of our team's expertise in health care, public policy, and social services. On this site, you will find insightful posts on the American healthcare system in the midst of its greatest transformation in over seventy years.